Posted on November 28, 2009 by Jian Akiraceo. This entry was posted in Festive Season and tagged Christmas wallpaper, new theme, wallpaper. Bookmark the permalink. your new theme is gorgeous! Keep up the good work! u rly pndai messing wif html..
when i got here, the 1st thing i saw on the pic header was u got undies for christmas..
christmas is my most favouritest season of the year! I want a reindeer’s horns head band !RAWR! nice xmas theme!! i like it!!! yeap yeap~~ I love Xmas very very muchiiiiii too!!! 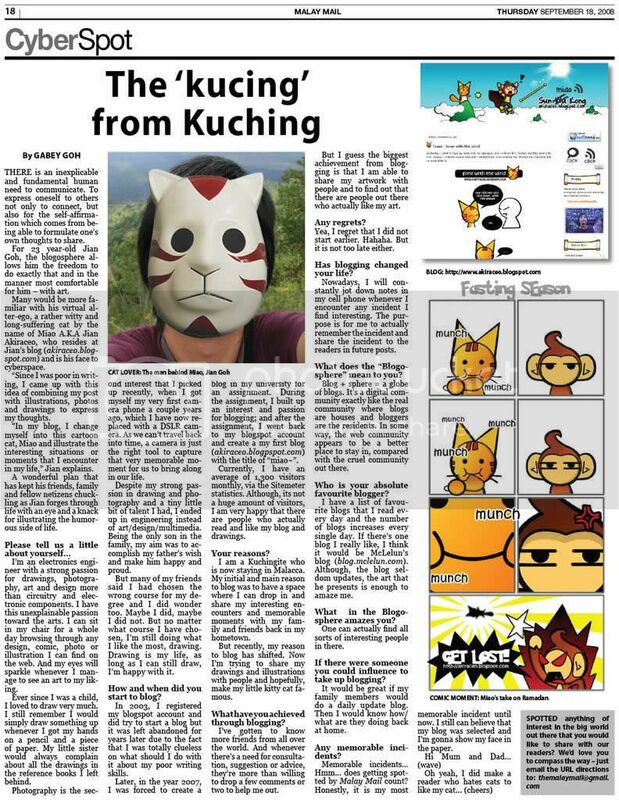 hehehe..your blog theme is chunz la!!!! very very cool too!!! Nice theme… love the background. btw, u r gonna santa miao this year? i wanna 5 storey bungalow please! eh eh mana Jason’s bear-like character? lol…. Your theme look very jingle.nIce! Yeah!! Let’s rock hard ! I like Christmas too!! I sing carols all year round…. 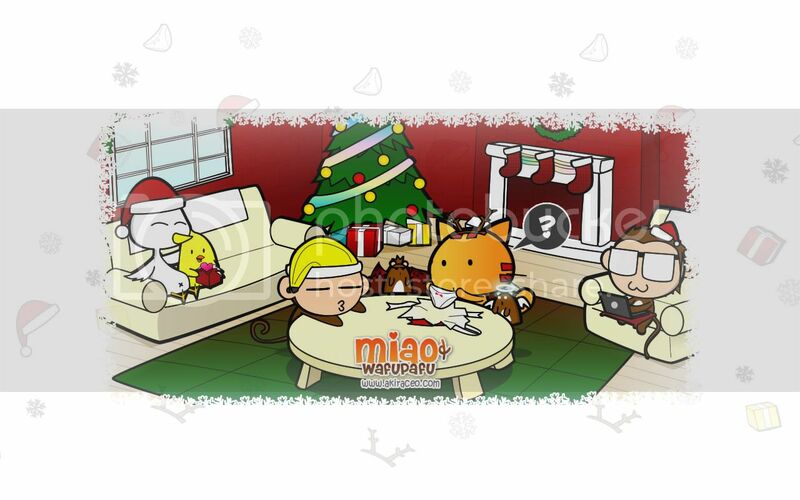 Nice theme btw..
Hope you have a great Christmas, Miao! i also like xmas more than CNY, just dunno why haha. Looking forward to celebrate Christmas! Maybe next year you need to have a super big bungalow to fit all for X’mas buddies on ur header. Hehehe! The cat finally has something to wear. Hahaha it’s not even a male’s…. Marry Christmas!any way,i like this theme,where to download this theme? x’mas is always my favorite holiday~ cause got lots of beautiful decoration, lots of presents and is a very warm holiday for all to celebrate!!! I love Christmas alot too ! Even though i celebrate Chinese New Year. You don’t know miao is sukebe meh? hehe! it was me on ur Christmas theme! Yes! I will be meeting chicken Jack during christmas! weeeee!!!!!!!!!!! Closing tag missed at comment #4.